Mato & Hash provides excellent value and high quality in these striped knee high socks. 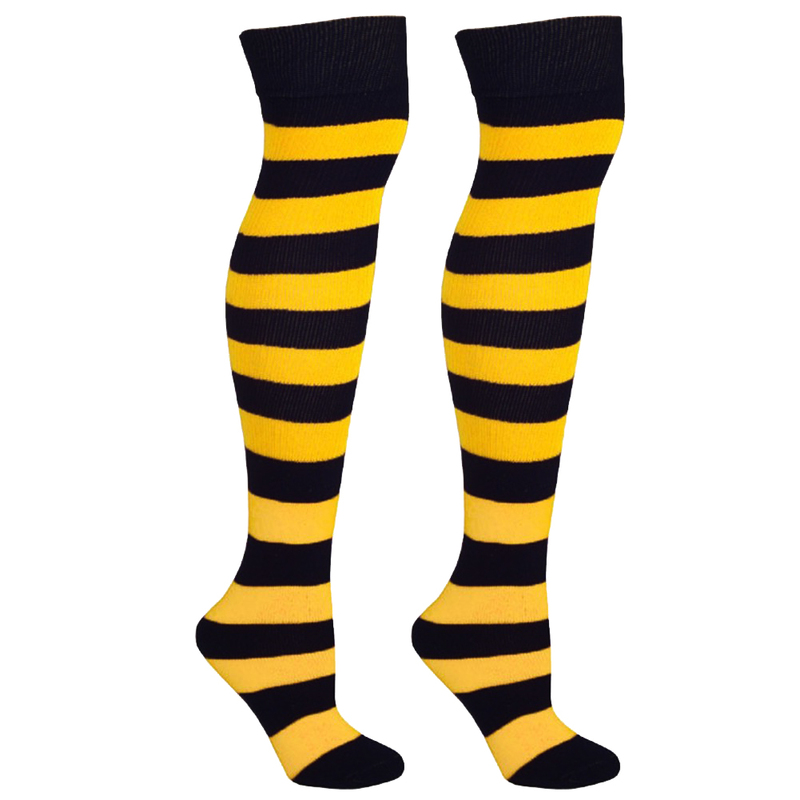 Whether you are looking for a pair of knee high socks for a new costume, or just want a pair to match your new outfit - you are at the right place. Made of 86% acrylic, 8% nylon, and 6% elastic, we have created the perfect blend for your new tube socks. The material is thick enough to keep your legs warm and remain opaque, while still providing excellent comfort. You are unlikely to find a better fit on a knee high sock anywhere else - Mato & Hash's socks fit snug enough so that they will not fall down, while remaining comfortable and not squeezing your legs too tight. Available in 5 different colors, Mato & Hash is sure to have the perfect pair of striped knee high socks for whatever occasion you desire. 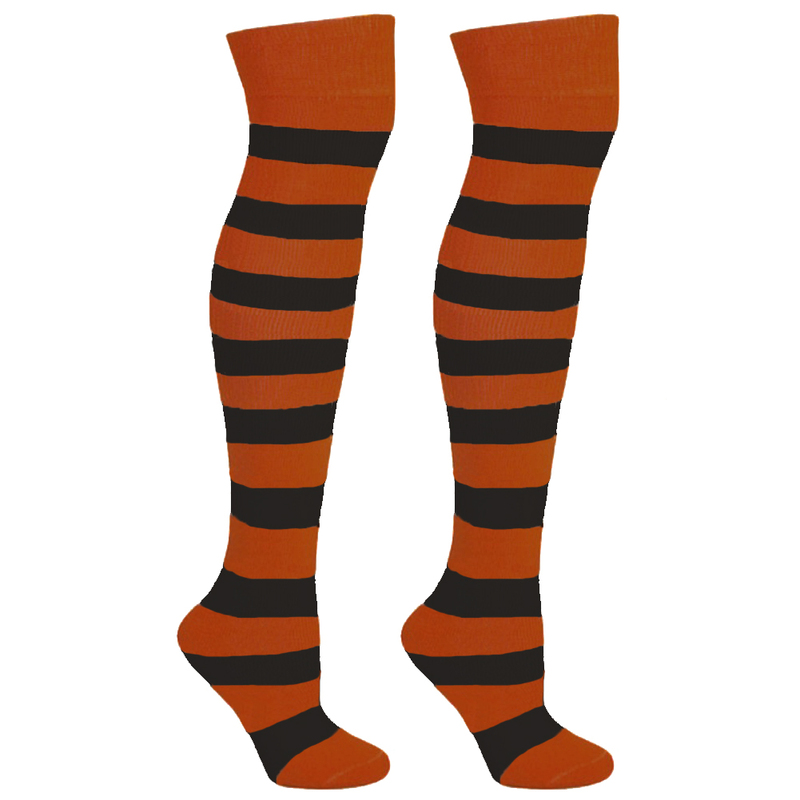 *PERFECT FIT - Mato & Hash provides excellent comfort and convienence with the build of these striped knee high socks. You will enjoy the feel of these socks on your legs, without having to worry about them falling down or an uncomfortable tight fit. *THICK + OPAQUE - These colorful knee high socks were made with durability in mind. Unlike other flimsy knee high socks - these are made of a thick fabric that is never see through and is built to last while still maintaining excellent comfort and warmth. *SPECIAL OCCASIONS AND CASUAL WEAR - Whether you are looking for a pair of knee-highs's for your halloween costume, softball/volleyball game, or just looking for a fun colorful way to keep warm during the fall/winter weather - these are the perfect colorful knee high socks to wear on any occasion. *QUALITY & VALUE - As always, Mato & Hash provides the best price available while maintaining excellent quality. 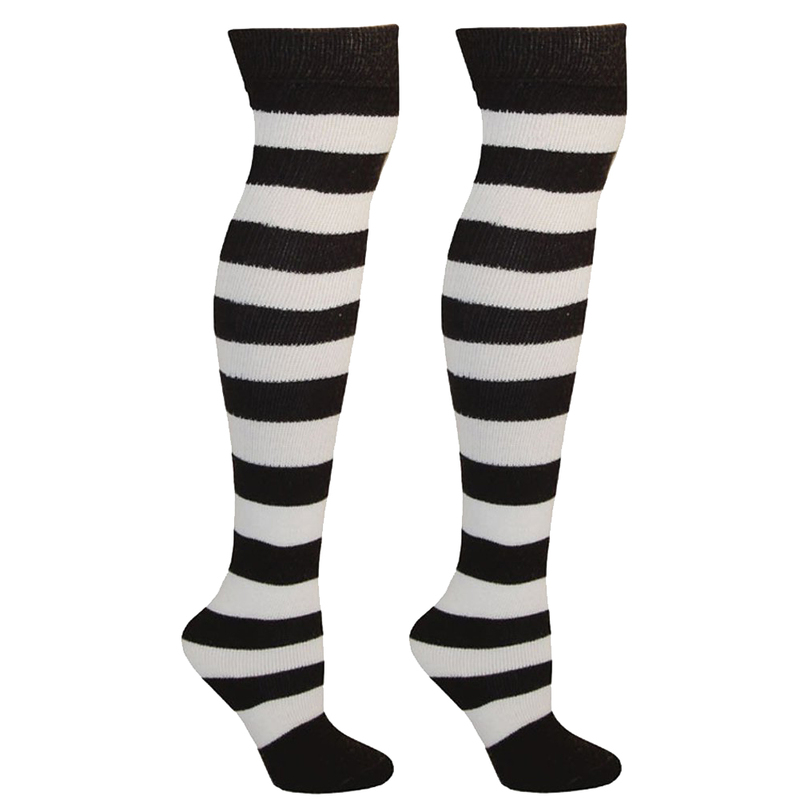 These striped knee high socks are made of quality 86% acrylic, 8% nylon, and 6% elastic. 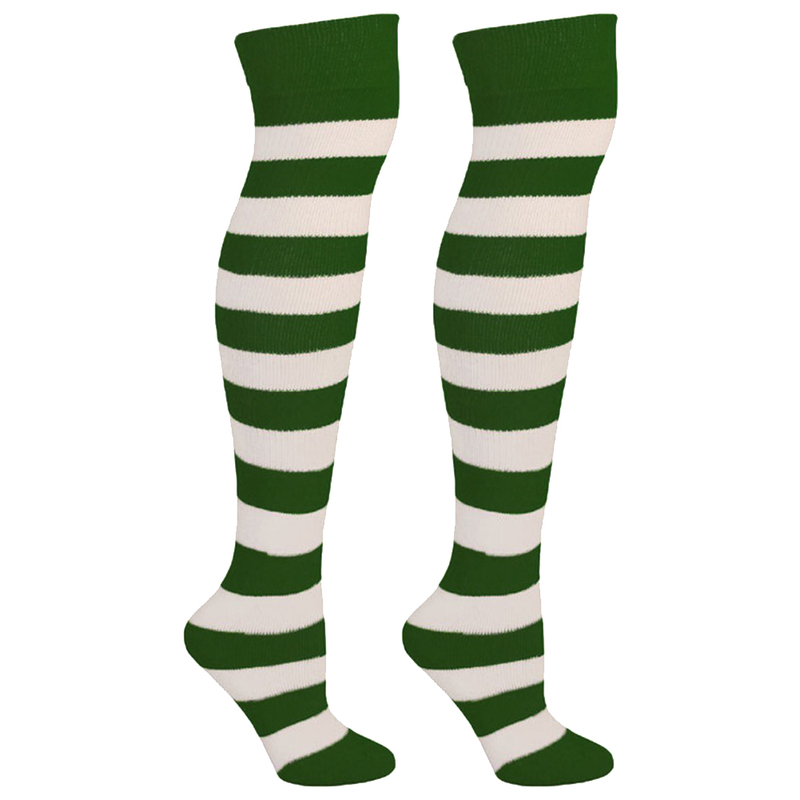 Available in 5 different colors, feel free to mix and match these knee high socks. Mato & Hash also has thigh high socks available!